Below, you will find reviews of our all-inclusive services. We only recommend luxury resorts and hotels, handpicked and reviewed by our team of experts. Our complete all inclusive packages are designed to cater for different holiday types, and offer unique locations, tours, and attractions. Our agents build these packages to fit your specific needs and include flights, hotels, island transfers, and unique private tours. These packages are perfect if you wish to avoid the hassle of planning the finer details of your trip – We’ll take care of everything. 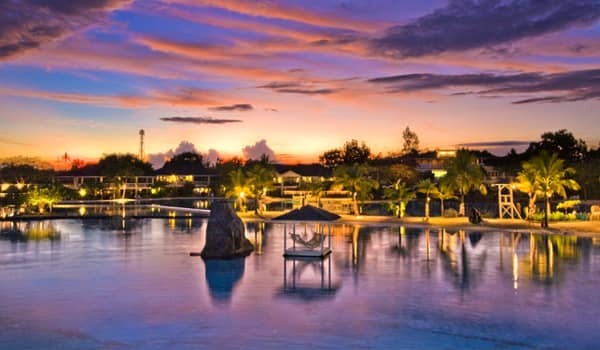 Most people choose to include only a small number of islands in their all-inclusive vacation package; one or two is ideal to fully experience the sights and attractions in your chosen destination. However, the choice is yours, and more complex customized itineraries are also available. Put your trust in the hands of our experienced agents and you’re guaranteed to have an unforgettable holiday. In offering these tailor made vacations, we have three main aims. The first is to provide you with affordable, yet high-end vacation options. Second, we hope to remove the stress of planning your trip. Arranging transfers is particularly challenging in the Philippines, but our experts can ensure an efficient and reliable itinerary. Finally, we provide protection in case of cancellations. If you book a resort independently and a storm delays your arrival, you’re more likely to be offered a free stay later in the year, as opposed to a refund. We will help you get your money back instead. You can treat the above packages as a blueprint, since anything can be changed when you speak to our agents. If you wish to stay longer, visit different destinations or work out a cheaper all inclusive package – it’s all possible. 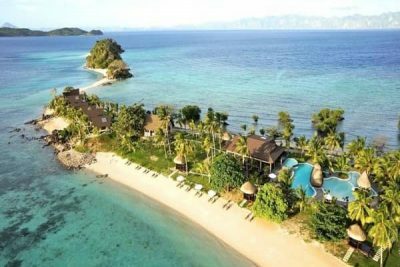 Below, we provide an overview of the best Philippine destinations for all-inclusive vacations, including the best all-inclusive beach resorts. Most all-inclusive resorts and hotels offer unlimited activities and free use of the facilities and services. These services include open bars, all-you-can-eat meals, and buffets. There’s usually at least one in-house restaurant, often providing evening entertainment in the form of activities or a show, followed by a dance party. 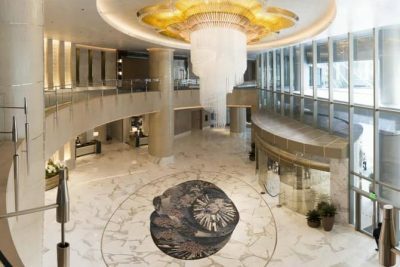 Since tourism in the Philippines isn’t fully developed yet, the standards of luxury hotels vary a lot. Many of these establishments target the local audience, whose standards are quite different from those of Western tourists. Here, we fully understand your expectations, so our hotel reviews are as detailed as possible, to make sure you won’t be disappointed by our suggestions. 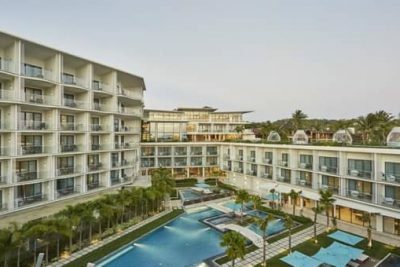 Generally speaking, the most popular tourist spots, such as Boracay and Palawan, have the best all inclusive resorts – the closest you’ll find to a true luxury experience. If your’e looking for a hotel where you won’t have to lift a finger and all your wishes are granted, these are the best places to go to. These two islands clearly have the best hotels for all inclusive vacations. Bohol and Cebu are not far behind, and are possibly even better choices for families. While 5-star resorts are all world class, it’s often the smaller 4-star establishments that offer the best value to groups. Nanny and babysitter services, as well as child-focused activities, make these the best option if you’re travelling with children but still want to receive the best possible service and quality. Smaller islands, on the other hand, have distinct advantages of their own. First, their high-end resorts cost a fraction of the price you’d pay at the tourist hotspots. Second, they tend to offer more specialized activities/experiences, such as diving, surf camps, or eco-tourism compounds. If you’re not sure which island you’d like to visit, we highlight the best destinations for an all inclusive holiday below. Alternatively, you can visit our destinations page for more information about all the locations we cover. We strive to offer a diverse hotel portfolio, catering to the diverse needs of our customers, and providing options on even the most remote islands. Keep in mind that we welcome special requests, so please contact our experts and ask for help customizing your trip. While all popular tourist spots have plenty of beautiful resorts to pick from, choosing the right one is tricky. Not all resorts offer the same amenities or attract the same type of visitors. Booking a dream resort for your romantic honeymoon getaway, only to discover the island you’ve chosen is a hotspot for singles looking to party all night, can easily leave you frustrated and ruin what could otherwise have been a wonderful vacation. Once you’ve placed an order, our agents will contact you to discuss your expectations. If we feel something would better suit your needs, or know of a good deal, we’ll give you the option of making alterations until it’s perfect. We’re the only agency currently offering all-inclusive packages to popular destinations such as Cebu and Siargao, for example, where we’ve negotiated special package deals with the best hotels. Below are some of the destinations we highly recommend. Even though Boracay is tiny, it has no fewer than 400 resorts and hotels. While many of them claim to offer all-inclusive services, very few deliver. Most 4- or 5-star hotels have a great swimming pool and fantastic beachfront location, but not many excel in professionalism and willingness to go the extra mile. We only work with the best all-inclusive resorts, making sure that they meet the highest standards. TWe also know the best tour operators on the island—those that provide the most professional service and pay attention to the finer details. There are many tours available in Boracay, most of which can be booked directly through your hotel. While it’s mainly famous for beaches and nightlife, you can also go diving, surfing, or island hopping, or experience something more unusual such as a cooking class, zip line, or ecotourism trip. Our service was designed to help make your Boracay holiday extra special and memorable. We only work with a few, all inclusive resorts, and only after we made sure they meet the highest standards. We also make the extra effort to connect you with the best tour operators – the ones that provide the most professional service and pay attention to all the small details. You can read our Boracay guide and book anything you like, or contact us and let our experts plan your entire trip. As of April 2018, Boracay is unfortunately closed for at least six months and no tourists are allowed to visit the island. The best alternatives for luxury all-inclusive resorts are Bohol and Cebu. These islands are both easy to reach, brimming with exciting attractions, and have multiple resorts catering to all types of travelers. Alternatively, if you are willing to go slightly off the beaten path, we recommend Siargao. This beautiful island has already been dubbed ‘the next Boracay’. Though not all inclusive, you fill find some good 4-star beachfront resorts in the central area. Or, for a true VIP experience, why not venture to the private island resort at Dedon Island — one of the best resorts in the country. Palawan is one of the largest provinces in the country. 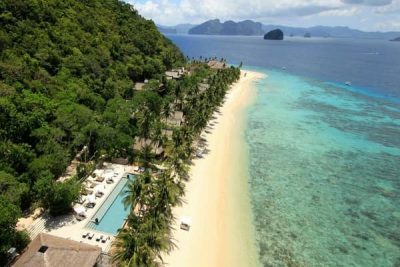 It’s a big island with a lot of travel options, but El Nido and Puerto Princesa are best suited to those in search of a luxurious experience. 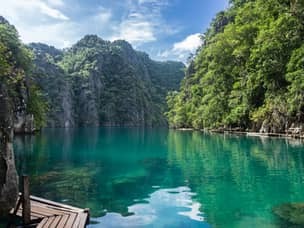 El Nido is known for diving, climbing, and island-hopping tours, while Puerto Princesa is home to one of the seven natural wonders of the world: its underground river. 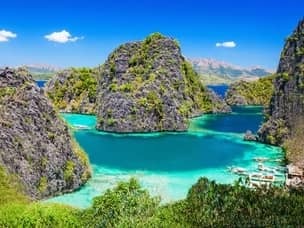 Other options include Coron, with its hidden beaches/lagoons and sunken WWII ships, and the laid-back coastal village of Port Barton. The best way to enjoy an all-inclusive vacation in Palawan is to visit one of the private island resorts. 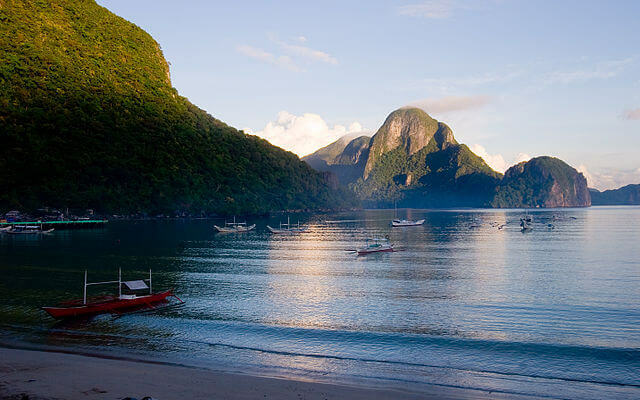 These are mainly found in El Nido, but are scattered across the island. With this type of holiday, everything is catered for. You can stay on the island, being pampered, or arrange a tour of the mainland directly through your resort. 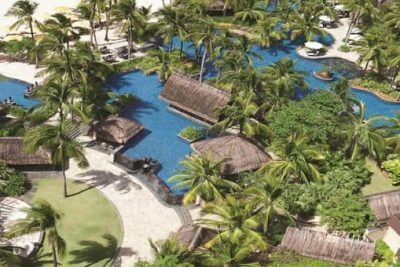 These 4- and 5-star resorts are the Philippines’ version of the Maldives, and are priced accordingly. A cheaper alternative would be to book a hotel on the mainland and visit the smaller islands as part of an island-hopping day tour. These more affordable hotels are still excellent, offer a wide range of services, and will gladly provide information on activities and help you book them. Please see our Palawan tour packages for more information and free advice on planning your trip. By now you should already have a pretty good understanding of what all different destinations are all about. Each one of them offers slightly different accommodation options, and excels in different attractions and activities. So, this should definitely always be the main consideration when planning your vacation in the Philippines. Another easy way to figure out your itinerary is to speak to us directly. Once we understand the nature of you trip, we can use our years of experience to fine-tune your chosen package and make sure your trip caters to the specific interests of each member of your group. Alternatively, you might prefer to select a package based on a theme rather than a destination. Visit our complete package catalog for customizable options, or read on for an overview of the most popular. We offer complete honeymoon packages that are custom-built to provide a romantic experience. Although they’re focused on giving you the space and environment for some truly special quality time together, they can be amended to include whichever activities or services you require. Using our knowledge of the best deals, this is your chance to travel in style and stay at the most luxurious resorts without breaking the bank. We also make sure special perks are included. Whether it’s a private beach dinner or a complimentary bottle of champagne, we’ve got you covered! Typically, couples who want a romantic all-inclusive holiday stick to the main tourist spots. A classic week-long vacation would usually include Boracay and El Nido. These two islands provide the widest range of luxury accommodation, as well as exciting day trips and attractions. 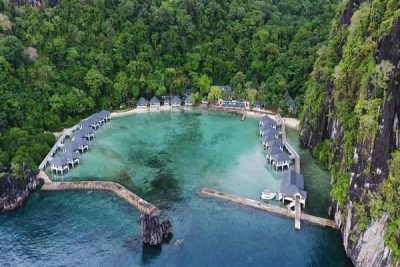 If you have more time to spend in the Philippines, other beautiful destinations can be added to your trip, such as Cebu, Bohol, Siargao, and Coron, all of which offer all-inclusive resorts of the highest level imaginable. Most people’s idea of a romantic holiday involves a secluded beach resort, with romantic dinners on private beaches, surrounded by amazing nature and scenery. For others, it might mean sharing fun adventures and activities, or dancing and partying all night long. We’ll help you plan your own customized package that’s guaranteed to make your honeymoon a truly memorable experience. Finding the right resorts to meet the needs of all family members isn’t easy, especially in multiple destinations. On top of that, hunting for the best promotions and maintaining a sane budget can be both challenging and tiresome. We’ll consider the individual needs of each family member and build a custom-made plan to suit everyone. We know where to find the best all-inclusive resorts appropriate for all ages, and can arrange private tours and transport. We understand that traveling with children can be nerve-racking, and endeavor to put every effort into making your trip go smoothly. We generally recommend that families avoid Palawan and focus on the Visayas instead. Boracay, Cebu and Bohol all have fantastic 5-star resorts that are extremely family friendly. 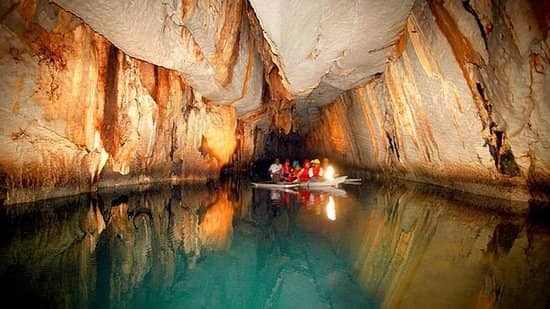 That said, if your children are older and up for adventure, Palawan is an amazing place to go. Our pre-made family vacation packages are a great place to start. We can then help tailor them to suit your needs. Our dedicated team of travel experts will help you add anything necessary, until you truly feel like your package includes everything you dreamed of. We’ve worked out special deals with all the major tour operators and luxury resorts, so we are can able to offer big discounts and promotions for larger orders. The Philippines offer a dazzling array of activities and adventures, and is especially renowned for amazing diving and surfing locations. With us, you can enjoy island hopping between VIP private resorts, which offer access to private beaches and premium diving spots. 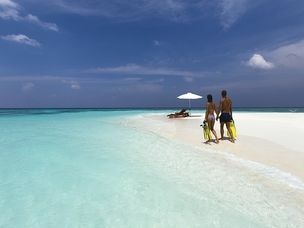 We offer complete scuba diving packages with the most luxurious dive resorts. Beginner divers can discover the sport with experienced instructors and progress to Open Water certification in some of the most pristine and colorful underwater environments in the world. For those more experienced, liveaboard safaris are also available. These will allow you to reach the best dive sites, such as Apo Reef or Tubbataha in style – rather than being squashed like sardines on a tiny boat, why not travel in style on a luxury yacht? For a more diverse experience, we also offer an all-inclusive diving and water sports package, which includes surfing, snorkeling, kayaking and jet ski rides. For a more relaxed water-based vacation, you can also ask us about our luxury cruise ship deals. Philippines versus the Maldives – which is more luxurious? If your only concern is for luxury, there’s no denying that the Maldives is superior to the Philippines. People with an eye for fine detail will notice the differences immediately. It’s the small things that make the Maldives synonymous with lavish holidays. 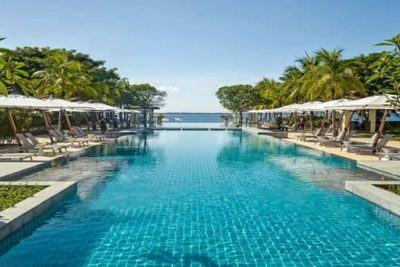 While private island resorts in the Philippines are world class, they still have some way to go before they reach the finesse found at the most famous Maldives resorts. However, if you’re looking for a vacation at a destination that offers luxury and comfort but still maintains a secluded tropical feeling, the Philippines has the best of both worlds. The country is often described as “how Thailand or Bali used to be 20 or 30 years ago”, meaning it’s still underdeveloped and maintains most of its natural charm. Palawan, one of the Philippines’most popular tourist destinations, has regularly been voted as the best island in the world. This is not only thanks to its stunning landscape, but also due to the fact that it offers an elusive paradise island experience. This, coupled with the fact that the locals speak English well, and private island resorts are common in the area, makes Palawan the best choice for an all-inclusive holiday. Compared with the Maldives, the Philippines is significantly cheaper and much more beautiful. Maldives accommodation tends to be around four times more expensive than in the Philippines. However, the biggest advantage of the Philippines is that you can move between locations and get a unique experience at each, while the Maldives tend to be more monotonous. 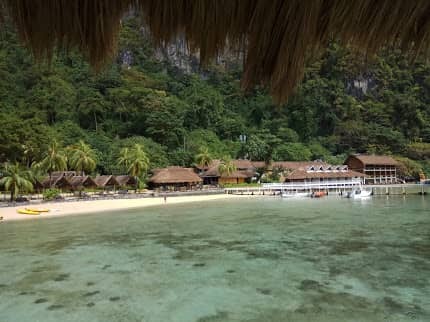 The Maldives may have some of the best hotels in the world, but since the difference in price is so substantial and Palawan’s 5-star resorts still provide world-class service and quality, you get much more for your money in the Philippines with little compromise. Although some Philippines hotels are not the best at providing travel information and booking tours, we solve this by offering you our very own exclusive tours everywhere you go. With us by your side, you’ll be able to get the most out of what this country has to offer. You will never have to compromise on comfort and luxury if you book one of our all-inclusive packages. We’ll go above and beyond to make sure each of your special requests is fulfilled and that you enjoy a 100% world-class experience. Limited time offer : Rates as low as 120 USD per day! When planning your perfect vacation, it’s important to know your standards, conduct appropriate research, and adjust your expectations accordingly. We can provide you with a once-in-a-lifetime all-inclusive experience, but our advice is to also keep an open mind so you get to enjoy the Philippines to its fullest. Booking an expensive resort is fun, but it doesn’t mean you should stay at the pool area all day long. Let our experts help build you a personalized package that also takes your preferred activities into account. 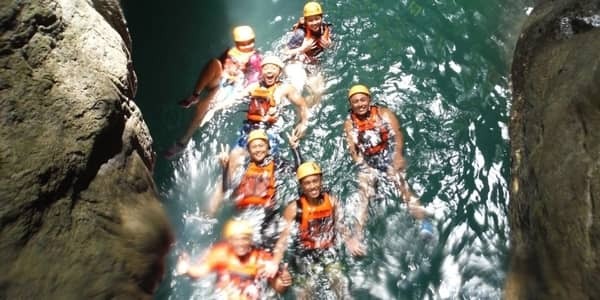 Packages all include day tours which allows you to experience the local culture, amazing nature and have fun activities. All tours are certain to meet your standards and provide comfort, safety and a feeling of luxury. We can include a free buffet and open bar, a private guide, or anything else you can think of. Just tell us what your ideal trip feels like and we will do what we can to make it happen! We promise to help you build your entire travel plan in such a way that you enjoy a true VIP experience. Just fill in this simple contact form and we will get back to you as soon as we can. I’m inquiring about your honeymoons packages. Hey Paola and thank you for your inquiry! our agents will get back to you soon with an offer. Thank you so much for your inquiry, an offer will be sent to you as soon as possible. It’s worth noting however that these are too many destinations to see in such a short time. If you do that, you’ll spend most time on the road and won’t be able to appreciate these amazing locations. Don’t worry, we will help you choose and plan the best itinerary according to your interests. in the meantime, you can find useful tips to planning your vacation in the Philippines, or a learn more about all the destinations we work in. My friend would like to have his vacation here in Quezon city from Kuwait from the end of the month for 1 week. Thanks. Sure, we will mail you with an offer. 25th wedding anniversary holiday, 5-7 days, minimal traveling but high end stays. Congratulations on your 25th anniversary! we are honored you are considering us to help with arranging such meaningful moment in your life. One of our agents will mail you later today with a few questions, so we can better understand your expectations and can help you plan the best trip possible. Hi I’m interested in availing a package tour to bucas grand surigao. Possibly 3d 2n, with option to also have a tour in cebu. I figured if there’s a lay over there might as well see the sights. Hi Lay and thanks for the comment. To reach Bucas Grande, it’s better to fly to Siargao or Cagayan De Oro and proceed from there. I recommend sleeping in Siargao and taking the day tour from there, but please note that while there are some great resorts over there, none of them are truly all inclusive. You can read more about Siargao here, or find info for the Bucas Grande tour at this page instead. Afterwards, kindly fill in this inquiry form and we’ll handle your request as soon as we can. Package must include, air, hotel, meals and land tours, if possible. Kindly provide quote. We answered your email. Of course that’s possible. Can you email me some all inclusive offers please? We will mail you today, but it would be REALLY helpful if you can fill out this short inquiry form first. Would help us understand your needs much better, and save us both valuable time. You are welcome to read our Palawan and Boracay guides, for more details regarding our all inclusive services there. 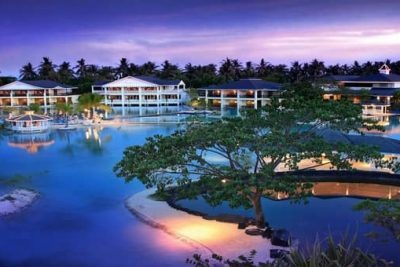 Hello, I want to visit Bantayan island for three weeks flying from Manchester UK from 16th August returning 6th September, premium economy or business class, and staying in a hotel or beach front property. Please can you send me a quote. Also as I will be travelling alone, can you tell me if I will be safe. According to FCO information Europeans are regularly held as hostages. I look forward to receiving your information. An agent will reply to you today, we’ll address all your concerns directly through mail or phone. Travel advisories regarding kidnapping and terrorist acts only refer to the Mindanao area, the rest of the Philippines is perfectly safe. That is of course as long as you know how to handle yourself and practice general caution. We have sent many travelers, including solo ones, to Malapascua island which is right next to Bantayan. There are also quite a few Westerners living on that island and in Cebu in general. None of them ever had any problem or felt it was not safe. Thanks for the comment Barry, we will mail you today. We will send you some more info sure, but it would be easier if you first give us some more details to work with. It’s hard to send a relevant quote when we don’t know how many people are you, which islands you’d like to visit, and what are your exact dates. If you could first fill out this short form it would make it a lot easier for both of us. Hi! Is the price you mentioned per person? Or for 1 room with double occupancy? We are interested in playing tennis. Do let me know your recommendation and price. Thanks. The prices are per person and include not just accommodation but also everything else required for a complete vacation package – flights, ferry rides, guided tours and van transfers in all locations. These serve merely as an estimate to give our clients some rough idea for expected costs. The best way to proceed is for you to contact us and our agents can help you build a custom package regardless of what your budget limitations are. Shangri-La in Manila, Plantation Bay in Cebu, Donatella in Bohol. Thank you for your reply. Is it required to do the minimum nights? It is flexible. if the field is required you can set it to minimum then specify the actual amount you want in the free text area.